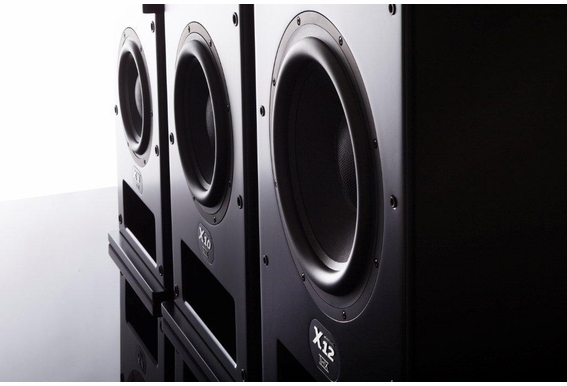 The X Series subwoofers are the culmination of M&K Sound's 40 years of experience in the design of superlative sub bass systems. Intended for use in the most demanding studio applications, they are equally at home wherever the finest music or home cinema is required. 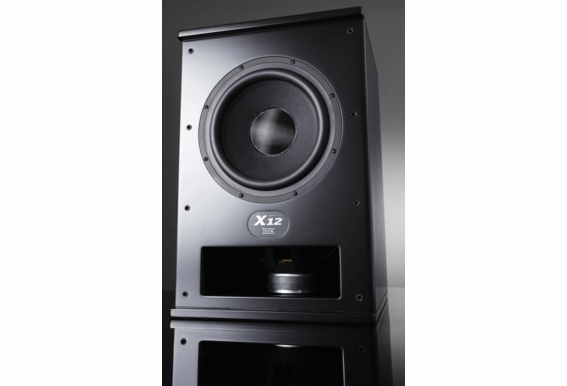 The X-12 THX Active Subwoofer uses dual 12” subwoofers in M&K Sound’s classic push-pull configuration. This design eliminates drive unit distortion and delivers 6db of additional output for enhanced bass detail, articulation, authority and impact. 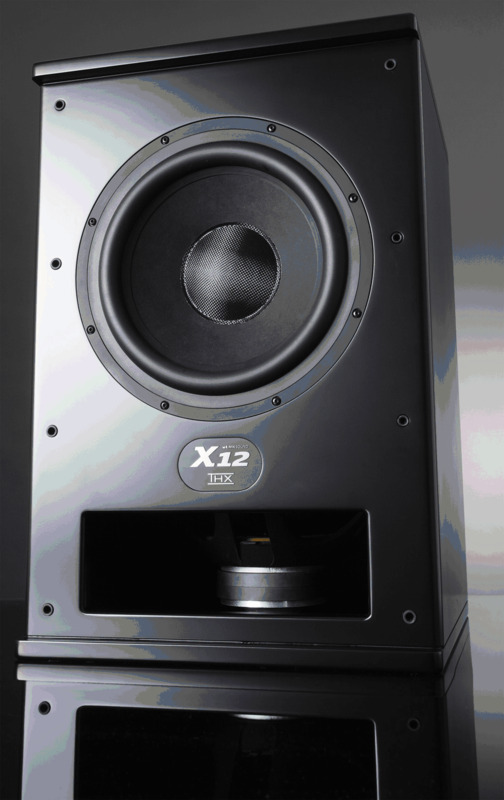 The X-12 M&K subwoofer has been certified and approved by the THX program. Since this is the industry’s most demanding independent quality control, it’s no surprise that professional studios are clamoring to get their hands on it. 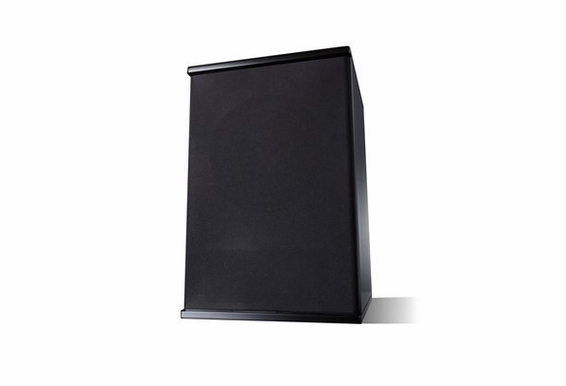 However, this THX-certified subwoofer can also be used in home theaters for enhance audio effects. 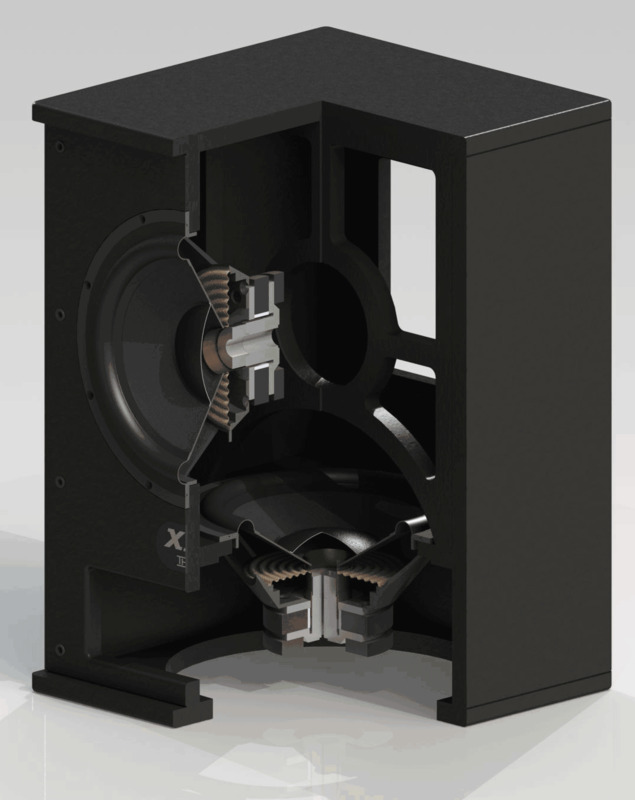 From the very beginning, M&K Sound has been the only speaker company to produce only satellite and subwoofer systems, the optimum configuration for film and music. Thanks to our state-of-the-art subwoofers and intelligently designed compact monitors, M&K Sound systems deliver all of the subtle nuances and bottom end impact the artists intended for you to experience. That means you’ll get the active subwoofer home cinema experience you’ve been wanting with a product that professionals trust to deliver the best finished audio. And when it comes down to it, don’t we all need a little more bass in our lives? THIS IS THE SUBWOOFER! 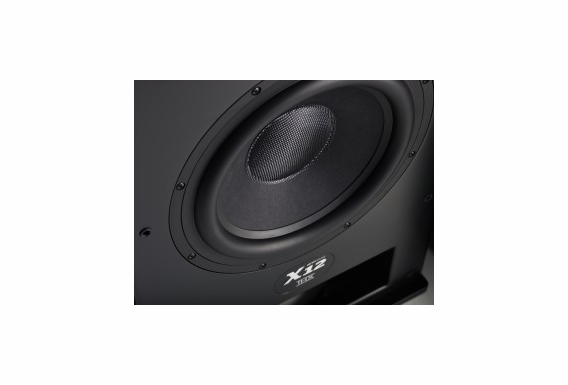 The X Series of subwoofers follow the proven M&K Sound concept of front- and bottom-mounted dual drivers operating in a push-pull configuration. 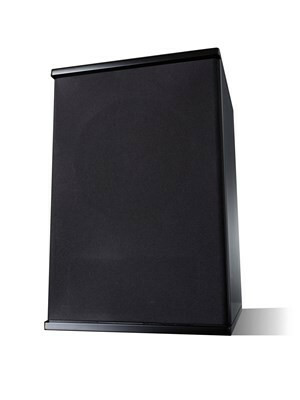 This all takes place in a sealed enclosure first introduced in 1988 in the legendary MX-1000 subwoofer and continually refined over the ensuing decades. The unusual front and bottom driver configuration is a clever, noninvasive way to reduce harmonic distortion. 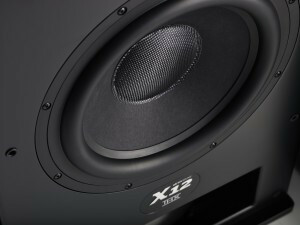 With dual 12” drive units, the X-12 THX Dual 12" Active Subwoofer provides 226 sq. in of cone area to move and control air or 40% more surface area than the X10 and 126 percent more surface area than the X8, equivalent to a single 18” driver. You can trust any of this series’ devices with your sound needs. 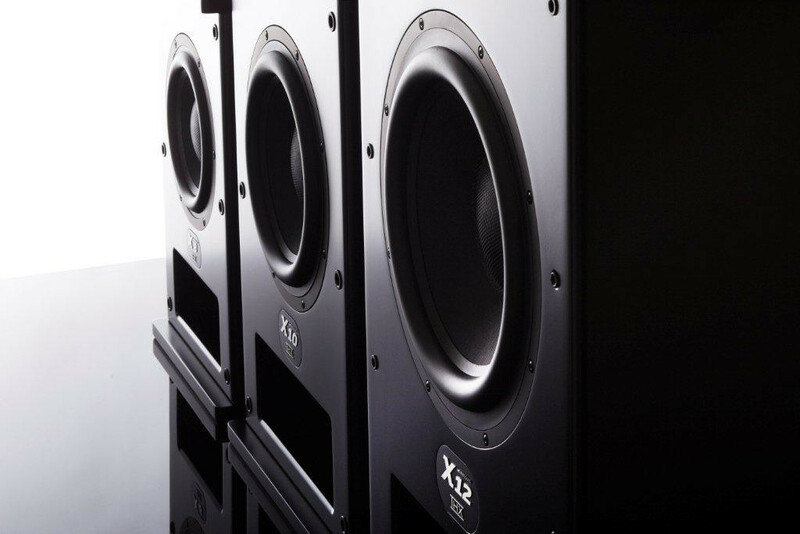 The all-new X Series 8”, 10” and 12” woofers have all been tailored specifically to fulfill M&K Sound’s ambitious performance requirements. They employ open baskets for free air circulation, resulting in minimal mechanical distortion by eliminating any captive compressed air mass behind the cone. 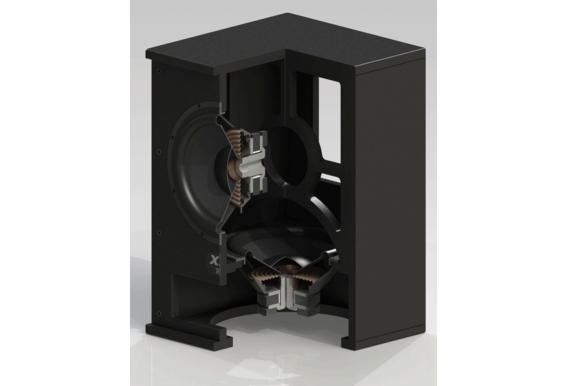 Cast baskets also offer a very rigid connection to the cabinet and improved heat dissipation from the motor system for reduced power compression. AC Power Consumption 0.5W standby, 60W average, 500W max.